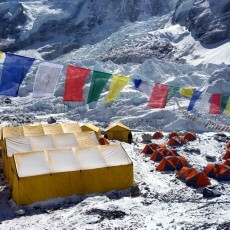 In April government officials flew into Everest Base Camp to meet with Sherpas who had issued demands after a fatal avalanche. Afterwards they issued a press release about the meeting that was misleading in a number of ways. 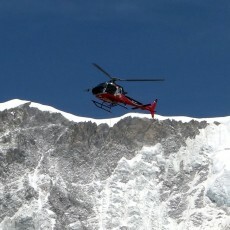 Here is my account of the events I witnessed that day. 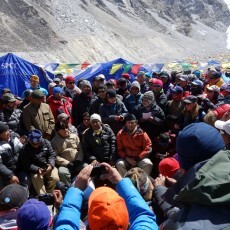 The government of Nepal made a number of announcements about mountaineering on Everest before and during the Spring 2014 season, which received widespread media attention. Here I examine some of the announcements and assess how successfully the government met their intentions. 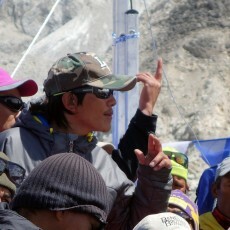 After publishing yesterday’s eyewitness account of the 18 April avalanche on Everest I was contacted by one of my team mates, Mel Huang from China. 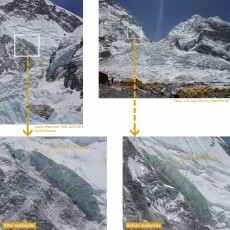 Mel has been studying before and after photographs of the West Shoulder and Khumbu Icefall in order to analyse precisely what happened. 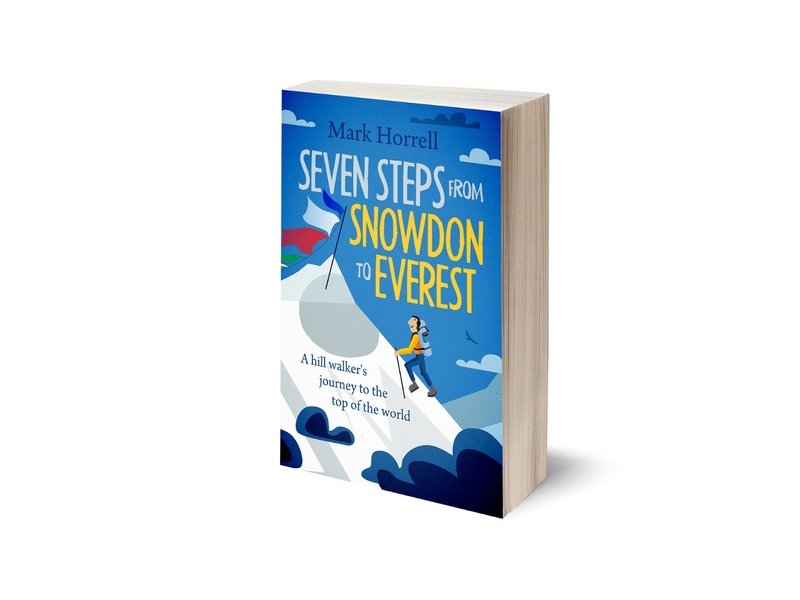 At approximately 6.45am on Friday 18 April, 2014 I was walking with team mates through Everest Base Camp on the way to my first foray into the Khumbu Icefall. 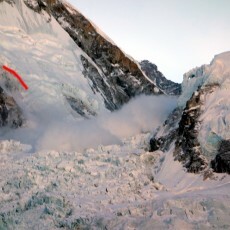 It was a climb I wasn’t to start, for at that moment a huge chunk of ice fell off Everest’s West Shoulder, triggering an avalanche which swept across the entire width of the Icefall.